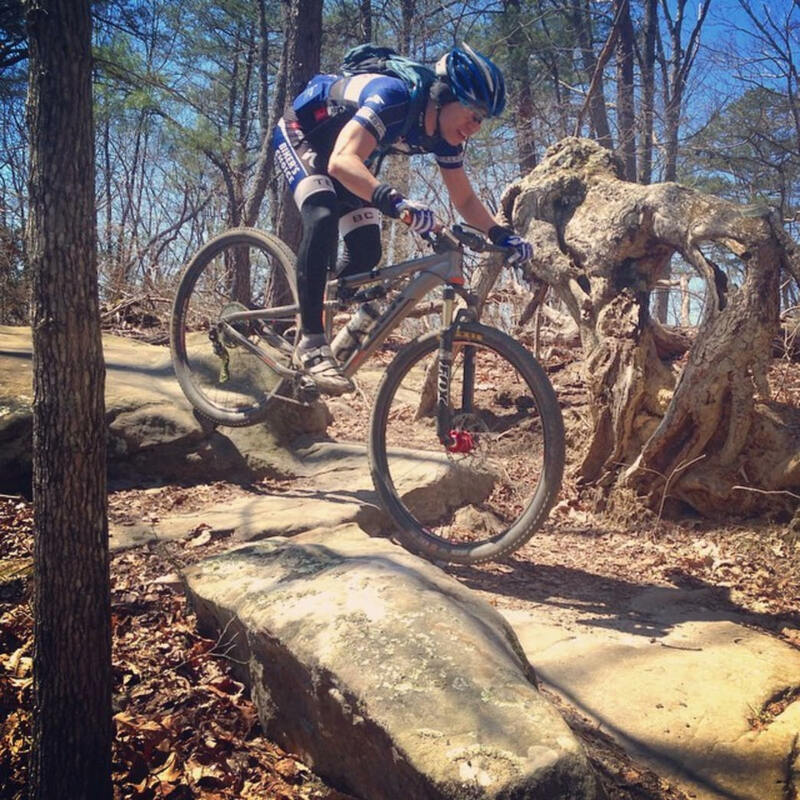 It’s true: Chattanooga is beginning to develop a reputation as a mountain biking destination. This reputation has been hard-earned, with over 50 miles* of new MTB singletrack opened in the last five years alone under SORBA-Chattanooga’s enthusiastic guidance. It’s a great place to visit (or live) if you like riding fat tires on dirt. One thing we locals occasionally hear about is that there aren’t enough technical trails with all this modern, machine-built singletrack. 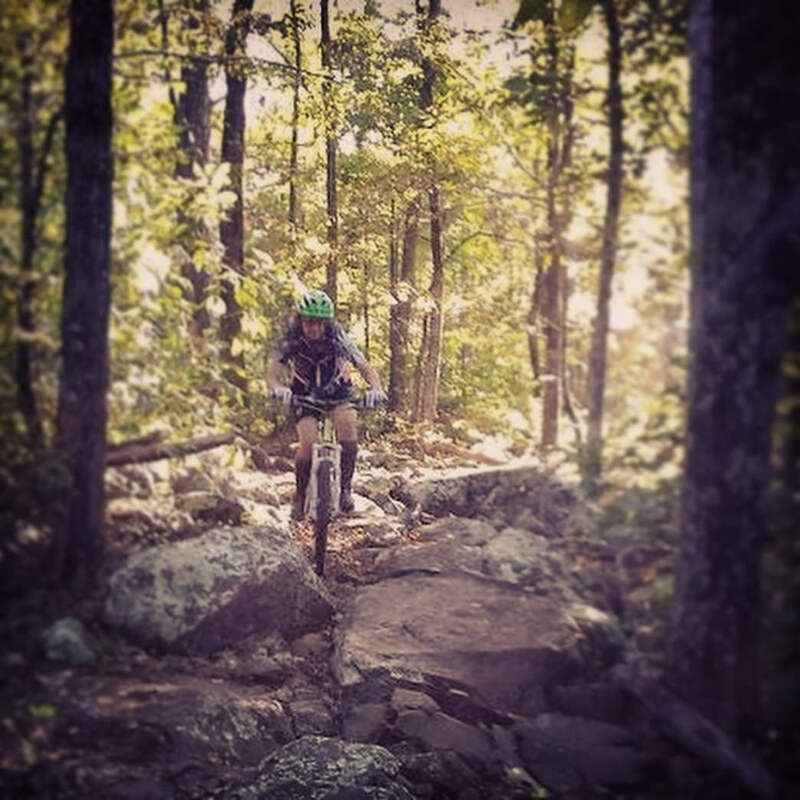 While there is a grain of truth to this—with the exception of the new additions on Raccoon Mountain, most of Chattanooga’s newest mountain bike trails have more flow than gnar—technical trails definitely exist, giving advanced riders several good options for a challenging day on the bike. Here’s our guide to what we consider the top five technical mountain bike trails in Chattanooga. We’ve limited our search to trailheads within 30 minutes of downtown. Disagree with one of our selections? Let us know which trails you think should have made the list! When Live Wire phase 1 opened on Raccoon Mountain a couple years back, Chattanooga mountain bikers applauded the sinuous, high-speed route off the brow of the mountain. 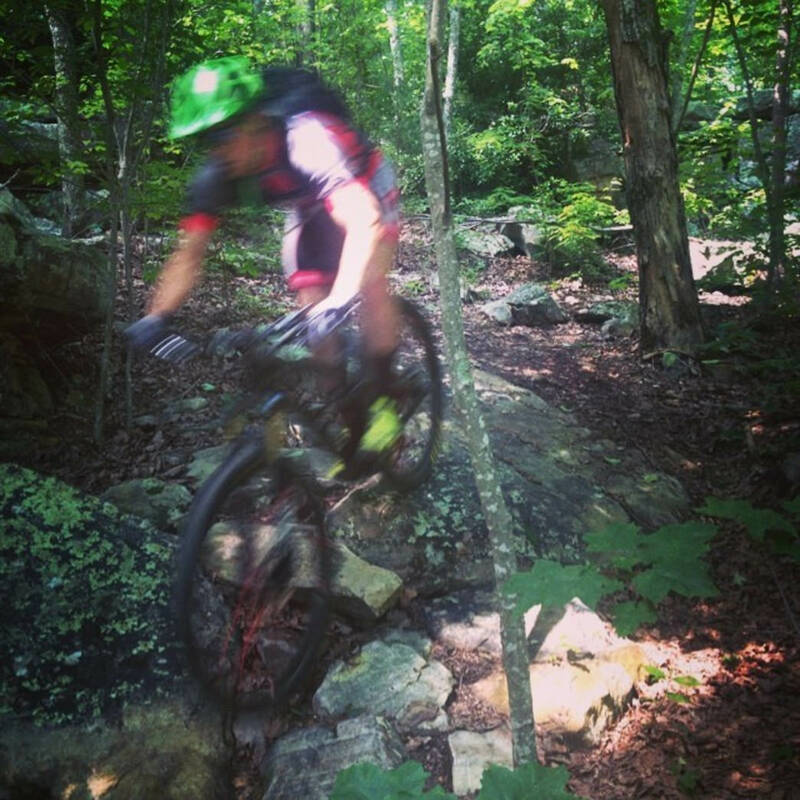 Little did we know what SORBA-Chattanooga's trail builders had in store for us with phase 2! If Live Wire 1 is Dr. Jekyll, Live Wire 2 is Mr. Hyde, strewn with momentum-robbing boulders and constantly threatening to peel the rear derailleur off your frame. Despite its moderate and relatively-constant 6% grade, it's hard to imagine a downhill run that requires more (or more carefully-timed) pedaling. There's little in the way of manufactured trail features or jumps here; instead, this trail connects the dots between rock gardens and piles of rubble, using wooden bridges only where necessary to span major drainages or minimize impact. Loose switchbacks and off-camber rock faces will test your balance. One awkward, chunky line between fields of babyheads is literally decorated with baby doll heads. Several of the trickier moments are actually easier to clean uphill, but we certainly wouldn't call uphill the "easier" direction for this 3-mile-long trail. Its location on Raccoon Mountain's northern slope makes for plenty of shade, lush foliage, and rock that stays damp (and slick) for a surprisingly long time after each summer rain. One of the best trails at perhaps the region's best trail system… but come prepared to work! David Neiles works his way through one of the many rock piles on the Dug Gap Mountain ridgeline. Located 30 minutes south of town along I-75, Dug Gap's notoriety comes largely from the existence of NWGA SORBA’s long-standing Snake Creek Gap Time Trial series. This 3-mile section of the Pinhoti Trail, which comes at the very end of the classic local race, has been chewing up cyclists and spitting them out for years. Picture this: you've been riding for thirty miles already, you're done with the last significant climb of the day, and the first jumble of boulders arises from the fog. For many racers, a cyclocross-style "dismount and run" approach through the worst sections is the fastest way to the finish line. The Dug Gap Pinhoti stretches northward along the top of the mountain, tracing a line of hand-cut singletrack between sandstone slabs. The rocks on Dug Gap are lumpy and awkward, and they're well-anchored in a variety of inconvenient locations along the forested ridgeline. Can you hold your line across patches of large, football-shaped stones without bashing pedals or clipping a handlebar? This trail flows a bit better heading south, though (of course) the race course runs in the opposite direction. At the height of summer, this trail can be too overgrown to enjoy, and gives itself over to the snakes and spiders. Perhaps the best time to ride it is in fall, when the ridgeline views return and you won't be able to panic too much about whatever it is you're bonking your way across beneath a carpet of fallen leaves. It also sheds precipitation especially well, making it one of the best available options in winter and spring when some other local trails are too saturated to ride. Kimmi Patterson surrounded by rubble on the White Oak Ridge trail. Nestled just outside town on Southern Adventist University's campus, White Oak Mountain's Biology Trails are predominantly innocuous and non-technical. The system features a good mix of smooth, machine-built singletrack for beginner and intermediate riders. But wander up onto the yellow-blazed section of White Oak Ridge and out come the knives. The yellow-blazed section of this 1.4-mile-long trail feels like someone has collected all of the stone from Dug Gap and plunked it haphazardly atop a trail half its length. Along with rocks, rocks, and even more rocks, White Oak Ridge sawtooths its way up and down across the ridgeline, adding further difficulty to a trail that would be challenging enough with no elevation gain at all. By virtue of its location at the very top of the trail system, it cannot be shuttled with a vehicle, and all potential approach routes involve some tough climbing. While the orange-blazed side of this trail earns a black diamond rating, the yellow side is presently the only double-black-diamond trail at White Oak Mountain. For those select few who already find themselves able to clean it in both directions, a number of heroic alternate lines exist. Harder than Dug Gap? We think so. This rocky section of Barkeater is just a taste of what's to come once you make the turn onto Kinder Garden. Only a half-mile long, Kinder Garden is the shortest trail on this list, but despite its short length it packs a punch. Five Points includes many miles of fast and flowy singletrack, but the section combining these two trails is the gnarliest mile in the system. It’s an as-yet-unsigned alternate route midway down Barkeater, best ridden downhill by taking a right at the fork just after Barkeater’s only rocky stretch. Immediately after taking the split, the tech comes fast and furious, with wheel-eating holes and square edges galore. After crossing a small creek and grunting up onto a couple of stony ledges, the trail switchbacks downward through a field of stacked boulders. Some riders will pick and weave their way through the obstacles here, while those less interested in changing directions quickly can steamroll and huck their way off the hillside and back down to Barkeater. Regarding the unconventional trail name: “Kinder Garden” is a reference to local trail-building superhero Jarret Kinder, who volunteered countless hours of his time to help turn Lula Lake Land Trust’s investment into the awesome (and sustainable) trails at Five Points. Irvin Macaraeg rolling one of Megawatt's boulder features on a cold winter day. What, with all these newer and sexier options out there, you’d forgotten the old standby? Sure, Raccoon Mountain has several black-diamond trails and its share of expert-level features—that seriously rocky half-mile stretch of Laurel Point, the precarious switchbacks atop High Voltage, the choose-your-own-adventure boulder fields of the Chunky freeride area, etc.—but a counterclockwise run through Megawatt is tough to beat, and it’s a Chattanooga classic. Megawatt has two main technical sections. The first is a short downhill stretch behind the visitor’s center, where a couple of scree-filled switchbacks give way to a series of short, ledgy drops ending in a dry creek crossing. The second section is a slower-speed series of large step-ups and step-downs across large boulders. Everything here is rollable, but the trail undulates enough that gravity isn’t much help, and well-timed surges of power are key. The other tech features on Megawatt are spaced further apart, mixed nicely into an excellent, purpose-built trail design that flows well from end to end. 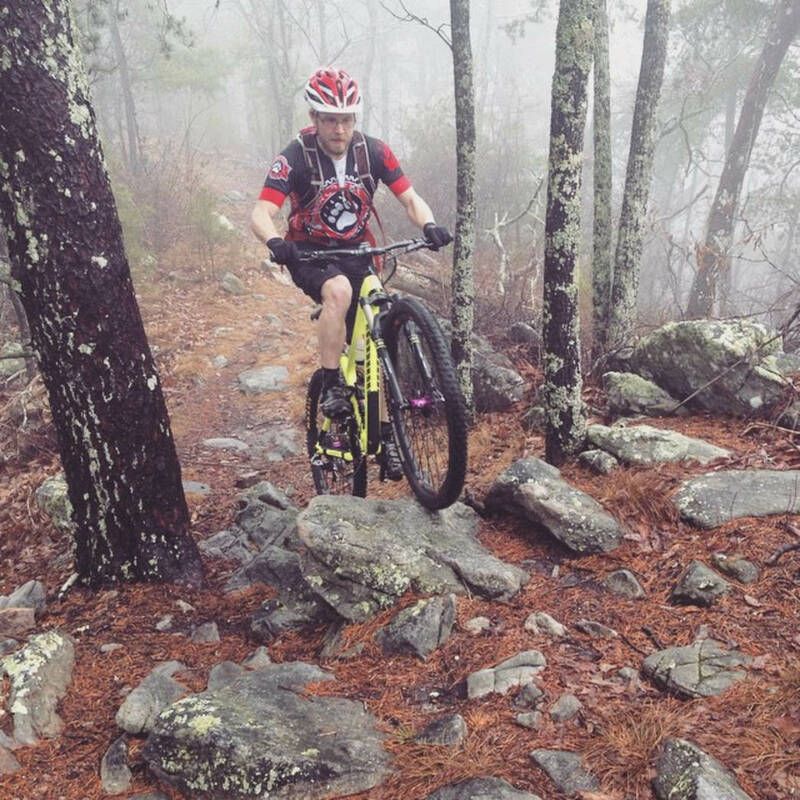 It showcases all of the qualities that make Raccoon Mountain a world-class trail system in 2.6 miles, and advanced riders will find reason to smile the whole way. *By the way, here’s how we arrived at “over 50 miles.” Enterprise South Nature Park has 10 miles of mountain bike trails that opened in December, 2010. 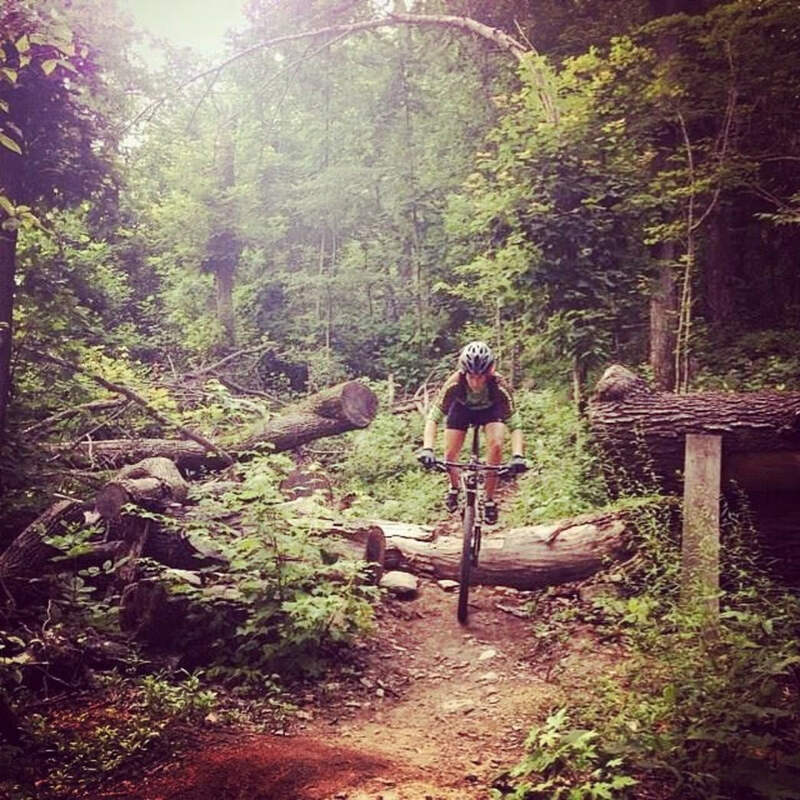 Stringer’s Ridge has 4 miles available for bikes, and it opened in 2013. High Voltage and Live Wire, on Raccoon Mountain, were fully open in 2014 for another 8. White Oak Mountain has recently added the Cottontail Trail and Bauxite Ridge for another 5 miles or so, and the singletrack sections of CCCT phases 2-3 at Five Points have added another 28 miles between 2012 and 2014.